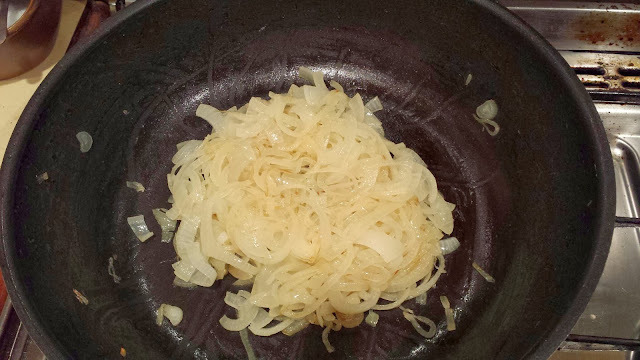 Forget all thise quick recipes that say it's ten minutes to prepare caramelised onions. I know why they say it - who wants a rhythmic 1h10min recipe - but it's crap. The ones here have gone for about 25 minutes already. Cover them, low heat, some oil, stir them often. For at least 40 minutes. Almond. First of many I hope. Ant Rid or just sugar?